Happy Wednesday and to all my women out there, Happy International Women's Day! I wish I had planned a red outfit to post today to represent, but instead I'm sharing this look that I wore to lunch with my mom and siblings which in a way was a celebration of the most important woman of my life! We wanted to take mom somewhere nice, and we picked Coasterra Restaurant because of the stunning views and delicious food (see pics below). 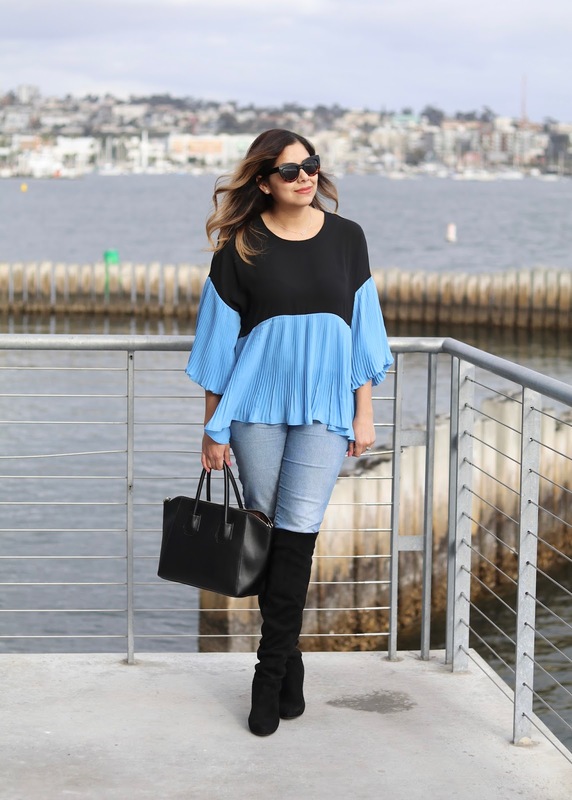 It was one of those chilly San Diego days where over the knee boots felt appropriate and this Chicwish flowy top ended up being perfect to conceal my post-lunch bod (hee hee). Oh Pau that top!!! Love it and also I love how you styled it too.